I wish I’d read the earlier reads – this was such a great book, and I’d like to know more of the other two couples. 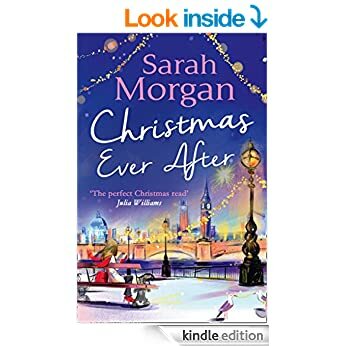 I didn’t realise it was part of a connected group when I requested it – that didn’t actually matter as Sarah gives enough info for new readers like me to keep up, without boring those who already know the story. I know when I’m reading a later book in a series the last thing I want is precious pages used up recapping events in detail for those new to the series, and here I think Sarah has got the balance just right. Skylar, on the surface a rich girl who has it all, popular parents, fabulous career, successful and wealthy boyfriend and yet…underneath all that she’s lonely. Her parents expect their children to fit a mould suitable to her father’s position, and art doesn’t meet their criteria so that’s always a battle, with them waiting for her to get a “proper” career. Her boyfriend turns out to be – well, not right for her… She’s got two long term loving friends who live on Puffin Island who save her sanity thankfully, and though they are unable to come to the opening of her latest show in London they make Alec go. He’s friends with their other halves, but he and Skylar have never hit it off, they’re best kept away from each other. He thinks she’s a spoiled princess playing at art, and she thinks he’s an arrogant and aloof man. Events happen that change things, we see another side to both Alec and Skylar, and I feel a little in love with both of them, understanding them much more. I just loved the time on Puffin Island and seeing the rest of their friends. That’s where I realised there were more books and what made me want to read them. I thought this would be a light and fluffy read and to a degree it was, but it had some solid emotion, and the kind of problems many people face, family issues and expectations, career choices, and just the problems from everyday life. They all felt so real to me and I was sad to leave them. Its a perfect read for when you want a romance that’s not too dramatic, but full of fun and emotion, and a read to relax with. BTW: Alec’s gran – I loved her!